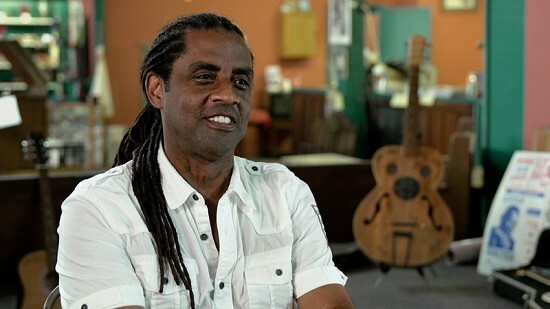 Kenny Neal is a renowned swamp-blues master and multi-instrumentalist. The son of Louisiana blues legend Raful Neal, Kenny began his career playing in his father's band at age thirteen. Kenny's first touring gig was at age seventeen playing bass for Buddy Guy. Born in New Orleans, Louisiana, in 1957 and raised in Baton Rouge, Kenny has released eighteen albums since 1987. He received a 2017 Grammy nomination for Best Contemporary Blues Album of the Year for Bloodline. The title song from that CD is a mini family album: “Mama told me a story how she planted the seed, when she rocked me in the cradle, she sang the blues to me.” Kenny is joined on the CD by the Family Band, featuring his brother Darnell on bass, brother Frederick on keyboards, and nephew Tyree also on keyboards. Kenny starred in the 1991 Broadway production of Mule Bone, by Langston Hughes and Cora Neale Hurston, which featured Harlem Renaissance poetry set to music by blues master Taj Mahal. Kenny has performed several times at the King Biscuit Blues Festival in Helena, Arkansas.